Find out why Colombian aguardiente belongs on your bar. What It Is: Aguardiente is Spanish for “fiery water.” It’s also a widely used term that covers a range of spirits, but for our purposes it will henceforth refer to a clear, anise–flavored Colombian liqueur distilled from sugarcane. Each region in Colombia offers its own take on the spirit. Néctar, distilled and bottled in Bogotá, Colombia’s capital, is one of the most popular brands. 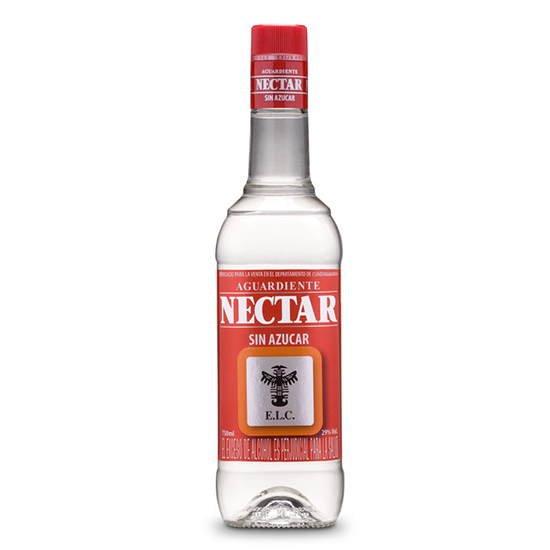 What It’s Like: Though other aguardiente brands such as Cristal and Antíoqueño push the anise flavor to the max, Néctar holds back for a softer, almost citrusy taste that balances nicely with the spirit’s boozy heat. How to Drink It: Colombians living in the foothills of the Andes traditionally take guaro (slang for aguardiente) as a shot during weddings and celebrations. Serve it chilled as a digestif, or with a mountain of ice in a glass rimmed with the traditional honey, cinnamon and cloves.